Veronica joined the Camino ENT family in 2016. She assists Dr. Michael Murray in his clinic, providing patients with a variety of services in both the San Jose and Morgan Hill offices. Veronica also has experience with scheduling, supporting the office manager, coordinating insurance billing for surgical procedures and submitting and responding to insurance reviews and appeals. 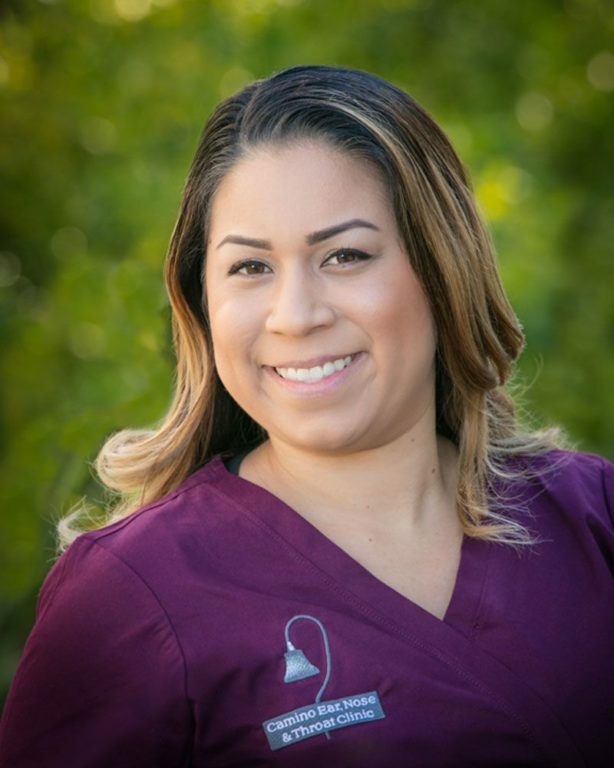 Veronica is always willing to help or assist any patient with questions about their clinic visit. Veronica enjoys spending time with her husband and two young boys. Favorite pastimes include mini golfing and going to the movies with her family. She is a devoted sports fan and cheers on her local favorites, including the Giants, Sharks and 49ers.